Located outside of State College, Pennsylvania, the home enjoys rolling green vistas. 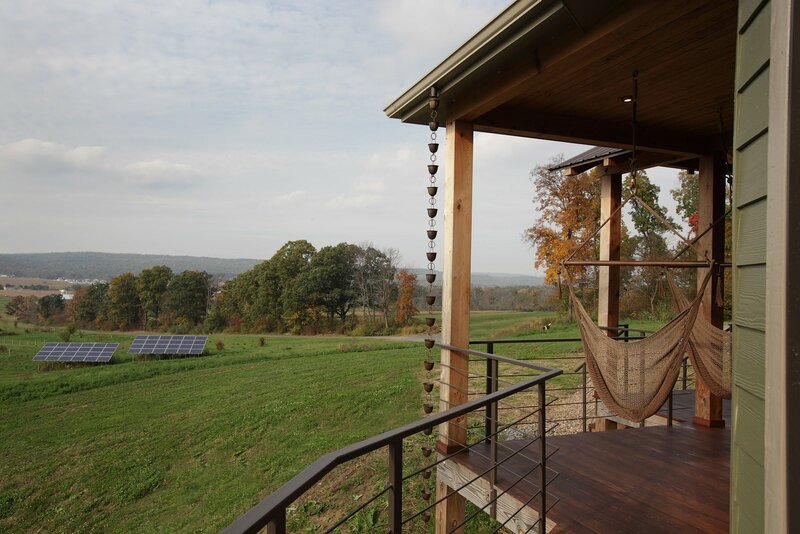 Two hammocks on the porch are ideal places to take in the views or a good book. The solar array, pictured in the midground, powers the home.